The new Apple store in Brooklyn New York. New York City is getting a new Apple store this week, only instead of replicating the iconic Fifth Ave glass cube, this time Apple’s going with a giant triangle. The new store will be Apple’s second retail location in Brooklyn after the company opened a store in Williamsburg last year. 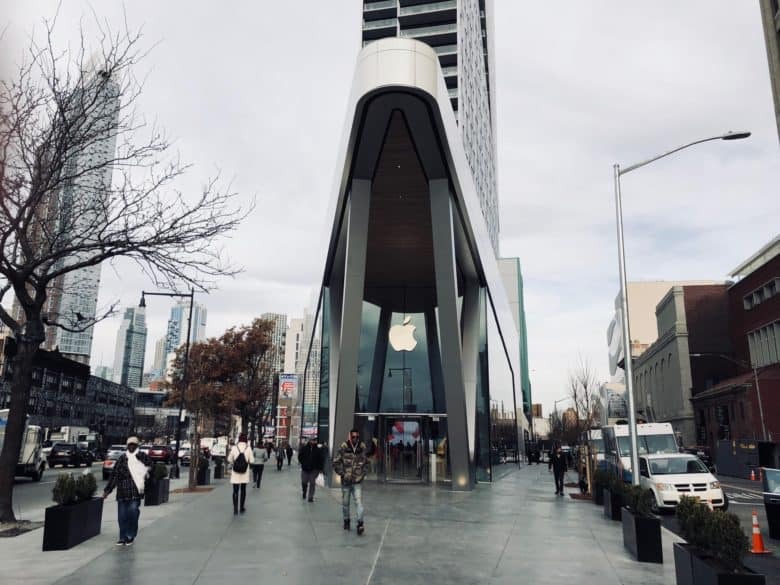 Apple’s glass-sided triangle store opens December 2 and is located down the street from the Atlantic Terminal and Barclays Center. Apple is setting up shop right on the riverfront. 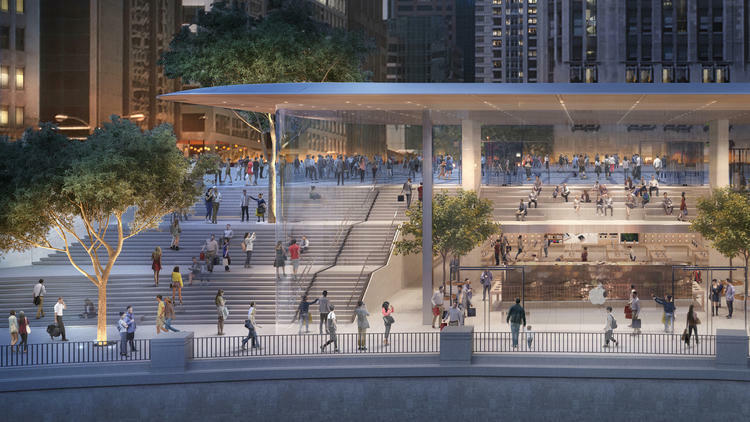 Apple’s new digs in Chicago are shaping up to be one of its most beautiful flagship stores ever, based on new renderings released by the iPhone-maker. The current structure Apple is renovating on North Michigan Avenue doesn’t look like much, but once it’s finished, the new Apple store will feature massive glass walls an inviting open layout. A staple of the Apple store was almost stamped out. 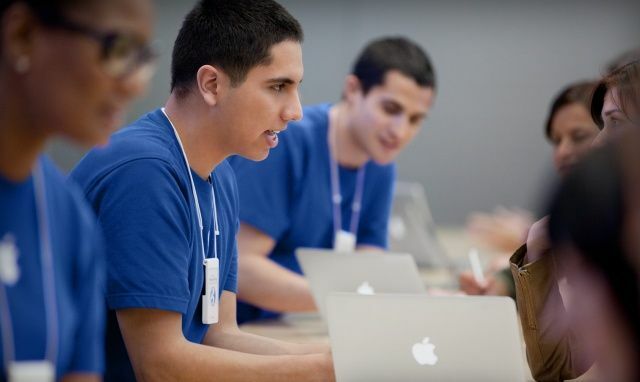 The stellar support you get at the Genius Bar is one reason why many of us continue to buy Macs, but it almost never made it to an Apple store. Steve Jobs thought the idea was “idiotic” and told former retail chief Ron Johnson it would fail.